A different kind of diving! Directly after the Open Water course, you can take the Advanced Open Water program to taste a couple of the almost endless possibilites you have when you want to specialize yourself in different ways of diving! The Dive Shack offers a broad range of specialty courses allowing you to explore and experience different aspects of diving. Each specialty course will take you into detail and improve your knowledge, skills and experience associated with a certain activity. Check out our calendar, or give us a call to find out when the next specialty course is available and which course might be right for you to take next! The primary goal of any of the PADI Specialty Courses we teach at The Dive Shack, is to teach you the important skills in a fun environment! All courses are taught using home study, short academic sessions and in-water training. Before beginning, you will need to make a choice of which specialties you want to do. The Dive Shack offers a large variety of PADI Specialty Courses as a basis for the continuing education ratings. The choice which programs you want to go for in order to reach your personal goals in diving is entirely up to! And don’t forget that it’s also possible to combine specialties, for example, combine the Boat Diving Specialty with the Deep Diving Specialty! Whether you want to go deep or stay down longer, want to dive a wreck or prefer to dive in the dark, the possibilities are endless. 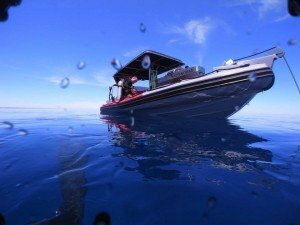 In the Boat Diving Specialty Course you will learn the right boat diving techniques, how to choose the right travel agency and diving operator when planning your holiday and what to consider when travelling with your Total Diving System. You will also learn how to select your dive boat, prepare for your trip, travel on the boat, dive from a boat and how to finish your boat trip. Taking this program prior to your holiday guarantees you will be ready! Always wanted to dive that wreck below 100 ft./30 meters? Curious what’s beneath that ledge at 115 ft./35 meters? Go where few have gone before by taking the PADI Deep Diving Specialty course. To dive below 100 ft./30 m.you need the right skills and the right knowledge and that is precisely what you get when you are doing the Deep Diving Specialty Course. It will teach you how to plan your deep dive, the potential hazards, how to do repetitive deep diving and everything else involved with going deeper than everyone else. Nowadays, diving and photography with a digital camera system have become very easy. Many divers already have a digital camera system and have just bought or are thinking about buying a proper underwater housing. As such, many divers are sking themselves how to take better picutres. With the PADI Digital Underwater Photgraphy Specialty a structured program has become available to answer all the photography questions you may have, so diving and photography will be more fun and more satisfactory than ever before! When the nights become longer, the days become shorter and the water gets colder – then the time for taking the PADI Dry Suit Specialty course has come! As late autumn, winter and early spring can get a bit cold in South Australia, Dry Suit Diving is a course that can prove very beneficial. Especially because the visibility tends to be at it’s very best during these times of the year, it’s a great time to get out there! By taking the Dry Suit Specialty, you will learn the advantages of dry suit diving, different suits, valves, undergarments and accessories. During the two mandatory dives, you will learn how to dive in a dry suit and you will demonstrate the correct care and maintenance of a dry suit. Never feel cold again during a dive when you’ve taken the Dry Suit Specialty course! Is there ever a time that you don’t want to stay down longer when diving your favourite reef or that beautifully preserved wreck? Ever wondered if you could reduce the potential risk of decompression sickness? Than the PADI Enriched Air Nitrox Specialty course is the course for you. Due to the reduced fraction of nitrogen in your breathing gas, your body will have less work and the desaturation times will be reduced. During the course you will learn all the necessary rules for planning dives with Nitrox and using it in a safe way. An important key point in the program is analyzing your own tank prior to any Nitrox dive. So be a safer diver and have longer no-decompression limits by taking the Enriched Air Nitrox Specialty course today! Your Total Diving System is nothing short of a life support system underwater. It’s like a buddy underwater who you need to be able to rely on at any given time. With your own Total Diving System, diving is much more fun and more comfortable. The PADI Equipment Techniques Specialty course teaches you about all the different kinds of equipment and exactly how to choose the right equipment for your needs. If want to learn all about fitting, adjusting, maintaining and repairing your equipment, the Equipment Techniques Specialty courses is the way to go for you! Do you always wonder how the divemaster or the instructor easily finds his way back to the boat or the exit point all the time? If so, the PADI Navigation Specialty course is what you need to master this skill yourself! This course will teach you how to navigate on a compass and how to easily apply natural navigation skills. You will learn how estimate distances, find your way under water and how to always be able to get back to the exit point. After having taken the Navigation Specialty course you will be leading the way! A specialty that can really come in handy in South Australia is the PADI Night and Limited Visibility Specialty course. Diving at night means excitement, adventure and fascination all at the same time! At night you can experience a different side of the underwater world, as everything changes. Different animals come out of hiding and as you will see with a powerful torch, there is a lot to discover! During the course you will learn about diving at night and diving with limited visibility, the equipment used in these situations, the preparations for the dive and advanced techniques used during the dives. With the ever changing South Australian weather, being able to make an enjoyable dive in limited visibility can make the difference between a great day and an average day! When people talk about a “good diver”, that usually means that that particular person is able to move fairly smooth under water, without touching the bottom or the reef. If you would like to become that diver, the PADI Perfect Buoyancy Specialty course is a great step in this direction! It is a fact that improving your buoyancy skills comes with experience, but taking this course will do a whole lot more than experience will. During the course, you will learn about the equipment for buoyancy, controlling your buoyancy by using special buoyancy techniques and about your contribution to the underwater world by having perfect buoyancy control! So, if you want to be that “good diver” everyone talks about, start working on your buoyancy control by taking the Perfect Buoyancy Specialty course. Have you ever accidently lost something underwater and haven’t been able to find it back? Even if you haven’t, there will always be a time where it will be beneficial to know the appropriate techniques to search for lost objects under water. With the PADI Search and Recovery Specialty you will learn to plan a search and recovery operation in a team, to perform different search patterns with the help of standard equipment and the correct handling of one ore more lifting bags in order to bring heavy objects securely to the surface. After having taken the Search and Recovery Specialty course, you will not only be able to search for treasure effectively, but to bring it back to the surface and recover it as well! With over 800 wrecks in our South Australian waters, the PADI Wreck Diving Specialty course is a program that’s well worth taking! Diving on a wreck is diving in the past and will always be an amazing experience. When gliding down towards the captain’s bridge while seeing a big ship from a bird’s perspective, there’s always a certain thrill, as diving on a wreck is very exciting. However, there are some potential risks in wreck diving too, but with the right training it will become a great adventure! During the Wreck Diving Specialty course you will learn how to locate wrecks and how to prepare to dive them. 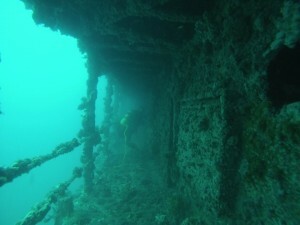 You will learn correct wreck diving techniques and learn ways to evaluate and avoid the potential risks while diving on wrecks. Open the door to new dive sites and excitement by taking the Wreck Diving Specialty today! Check with your PADI Dive Center or Resort about starting your journey toward becoming a PADI Master Scuba Diver and continuing your diving adventures.